Report: Tiny Harris Files For Divorce From T.I. 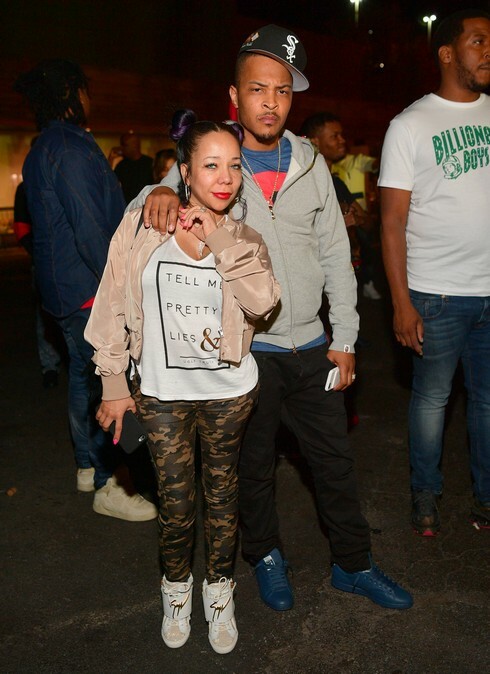 Although there have been rumors of trouble brewing for months, I’m actually pretty surprised (and saddened) to see reports that Tiny Harris (Tameka Cottle) has filed for divorce from T.I.. I just stalked both of their Instagram accounts there are no recent pics of the two of them together, but I just figured that solid couples didn’t need to flex like that. Apparently, I was wrong. Nothing has been officially confirmed, but there are reports out there that claim Tiny is the one who filed. Sure, T.I. and Tiny have been through their fair share of split rumors, but I just chalked that up to being a standard problem that comes with being a high profile couple. I feel like the most naive person in the world, but I really thought they were in it for the long haul. I just love their adorable reality TV family. This is some super sad news- if it’s confirmed to be true, I mean. There’s still part of me that’s just hoping that these reports are totally false. CLICK “CONTINUE READING” FOR MORE. Although there have been rumors of trouble in paradise for a while, People confirms that Tiny “reportedly filed for divorce.” Yes, you read that right. I’m not really actually confirming anything, I just have a confirmation of a supposed story, so this could be false-but I trust People, so I’m rolling with it. Not only that, but the People story is based on a TMZ report, which is also usually on point. And in other news, I’m just trying to use whatever wording I can to not confirm the veracity of this story. Ridiculous semantics aside, TMZ reports that Tiny filed for divorce in Henry County, Georgia. As of now, there is no official statement from the couple and I’m not seeing any subtweets or shady posts on their Instagram accounts. This means that I’m still holding out hope, but who knows. It seems like 2016 is the year that love died, so this does coincide with that misery. The couple have been together forever, but they got married in 2010. For now, the fans will just have to wait and see if they put out a statement and keep refreshing their social media accounts if there is no official verdict. Update: TheDirty has the divorce docs. RELATED: T.I. and Tiny Are Pregnant! The Family Hustle Is Expanding! TELL US- DO YOU THINK T.I. & TINY ARE REALLY BREAKING UP? WOULD YOU BE SAD IF THEY BROKE UP? DO YOU EVEN CARE?